In this paper we present an interdisciplinary approach that concerns the problem of argument acceptance in an agronomy setting. 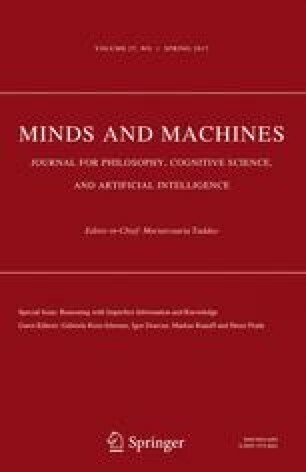 We propose a computational cognitive model for argument acceptance based on the dual model system in cognitive psychology. We apply it in an agronomy setting within a French national project on durum wheat. We would like to express our uppermost gratitude to Gabriele Kern-Isberner and the anonymous reviewers for their extremely helpful comments and remarks. We would like to thank as well Patrice Buche for his help regarding the French ANR DURDUR project. Bisquert, P., Croitoru, M., & De Saint Cyr, F. D. (2015). Towards a dual process cognitive model for argument evaluation (regular paper). In C. Beierle & A. Dekhtyar (Eds), International Conference on Scalable Uncertainty Management (SUM), Quebec, 16/09/2015-18/09/2015, LNAI, (pp. 298–313). Springer http://www.springerlink.com.